Since I was 8, I’ve always known I wanted to be a writer. As I’ve grown older, I’ve branched out from short stories to novellas to full-length novels to series and even content writing for small businesses (day job, say what?). I mostly just played around, but it was so much fun! If you are a writer, I highly recommend you take the time to write for the screen at some point. It doesn’t have to be a whole pilot, and it doesn’t have to be perfect. Screenwriting is a fun way to challenge yourself, and as we all know, the best way to grow is to step out of your comfort zone. Here’s the beginning of the free-write pilot I came up with for fun. I hope you enjoy it! Swirling fog covers the road. Camera catches the speeding car from behind. Then, it turns to the speedometer, which is at 90 MPH. Julianna (16): Mom, why are we going so fast? Slow down! Mrs. Devante turns to her daughter for a brief moment before turning back to the road, holding the steering wheel with two shaky hands. Julianna: Mom, are you not hearing me or something? We need to slow down. It’s way too foggy for this. Mrs. Devante: Julianna, I can hear you. I need to get you out of here, away from this place. Julianna: What are you talking about? Mrs. Devante: It’s not safe here. Julianna: Tell me what’s going on! Julianna: Tell me! You never tell us anything. Camera turns to 8-year-old Rowena (Row) in the back who is covering her ears from all the fighting. Julianna: What is going on? Mrs. Devante turns to Julianna for a brief second before the car stops suddenly. Mrs. Devante is reluctant to move her hands from the steering wheel. But then she opens the door and steps outside before taking one look at each of her daughters. Julianna puts her feet up on the dashboard, groaning. She turns to Row, whose eyes grow large. Julianna: What do you want? This all started when you got here. Everything was fine until you came into our lives. Row covers her ears again and hides under the blanket. She sees her sister’s silhouette from the front of the car and then watches it disappear as the car door opens. She peeks her head out. Julianna is outside trying to make amends with her mom. Julianna: (voice faded) Mom! Mom? Where are you? Lightning strikes the ground. Julianna runs back in the car, slamming the door closed and locking it. Row: What is going on, Julianna? She turns off the lights. Julianna: Row. Please. I said, quiet. Row covers her ears again but watches the windows. Handprints smear all over the car. It starts with one, then two, until the car is completely covered. Camera gets a distant view of the car in the night, covered with shadows. The words: See No Evil come out of the fog. A rod of lightning flashes through it. What’s something you’ve done to challenge yourself in your craft? Please share your experience in the comments. I’d love to hear about it. What’s On My To Be Read List? 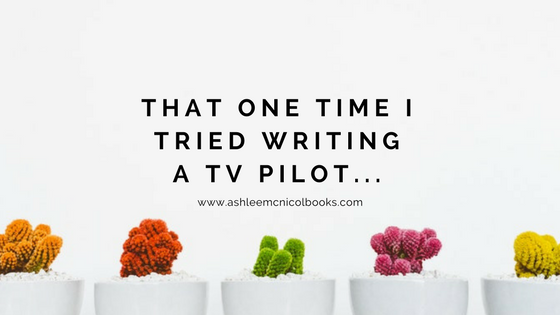 I’m Ashlee McNicol, and I write dark, snarky stories about the supernatural that readers say “keep you on the edge of your seat.” I grew up in a sleepy little town in the Pacific Northwest, where it seemed like nothing bad ever happened. Between the cloudy weather and endless nature to explore at all times of the day and night, I always felt there was more to this world. 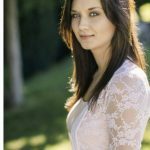 If you want to hear me ramble more often or be the first to know about my new releases, please visit www.ashleemcnicolbooks.com.